When I was pregnant with Ruthie, a few bad googling experiences led me to take advice only from books or people (like, real people that I actually knew). I found out quickly that googling led to parenting/pregnancy message boards and parenting/pregnancy message boards were full of people screaming at each other using acronyms that I didn't understand and it GAVE ME HIVES. I stopped googling all together and vowed to only refer to my momma, friends, or a handful of trusted books. The fear of baby centered message boards reemerged when I started to research baby-led feeding. 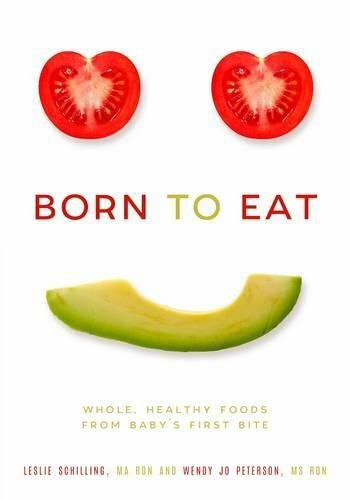 I ended up sticking to reading the holy grail(s) of BLW books and did a lot of gut following. I later took a course taught by a dietitian to understand everything a little more in depth, but I felt fairly confident that I got the gist. More recently I've been poking around in Facebook groups and message boards to see what baby-led feeding mamas are struggling with and guys, I AM FREAKED. There is so much passion around the letters BLW! If I had known all of this heat existed before, I might have been more reluctant to share posts with BLW in the title. After reading some of the rules of these Facebook groups, maybe the approach I've been taking with my kids isn't actually BLW after all. So, what freaked me out? The term "strict" BLW is thrown around a lot which I surmised meant extreme BLWing. There is one closed FB group that will literally remove without warning any member that mentions pureed food. Applesauce? Get the hell out of town. Pumpkin puree for a baby? Are you a loon? YOGURT?! Yogurt is fine but ONLY if you serve to baby with something to dip in it. One of the message boards I stumbled upon gave the OK for foods that are "naturally pureed" (huh?) like applesauce and yogurt, but if you pureed it yourself or bought it in a pouch you better throw that ish out of a moving car. Another group highlighted in every post "it's not true BLW if your baby isn't eating exactly what you're eating". I know the point is one family, one meal, but I don't see the benefit of making moms feel like they're failing if they eat the last piece of pizza themselves while offering avocado toast to baby. I also saw more than once the suggestion that introducing both pureed along with non pureed textures was not only the antithesis of BLW, but that it was dangerous (definitely not true). Does it really have to be so all or nothing? To dietitians, all or nothings usually set of a big ole red flag. All or nothing habits for adults sometimes take the form of extreme diets (that fail). It seems, food related all-or-nothings can start with babies if you stumble onto one of these "strict" BLW Facebook groups. I had to remind myself that my gut instincts (not to mention my graduate degree in human nutrition) are incredibly important and not to be drowned out by too much googling. My baby and I are in charge here. I have known and continue to know what I'm doing when it comes to feeding a balanced and appropriate array of foods for my babe. One of the major things that is happening with the introduction of solids is an exploration of new textures. Puree is a texture. There is nothing unsafe about incorporating purees at the same time as more solid foods like avocado or cucumber spears or beginning with purees that baby feeds them self with pre-loaded spoons. 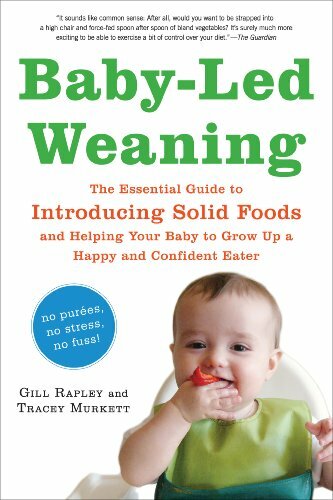 At the time BLW becomes possible, usually sometime around 6 months, babies are capable of tackling both pureed and non-pureed textures. Even if a 6 month old has previously only had purees, they can safely transition to the table foods that characterize BLW (in fact, that is EXACTLY what “traditional” baby feeding is!!). In the future you'll find me resuming my message board avoiding ways. It's been my experience that I just don't leave a message board feeling more confident about my abilities, I usually leave feeling annoyed and overwhelmed. There is probably a lot of good information buried within these groups, but there are so many other great sources of reliable info out there. Find a group moderated by experts, consult a research backed book (like the ones above) or course, text a friend who knows their stuff, or email me 💁🏼. Have you guys had any experiences with message boards or groups?